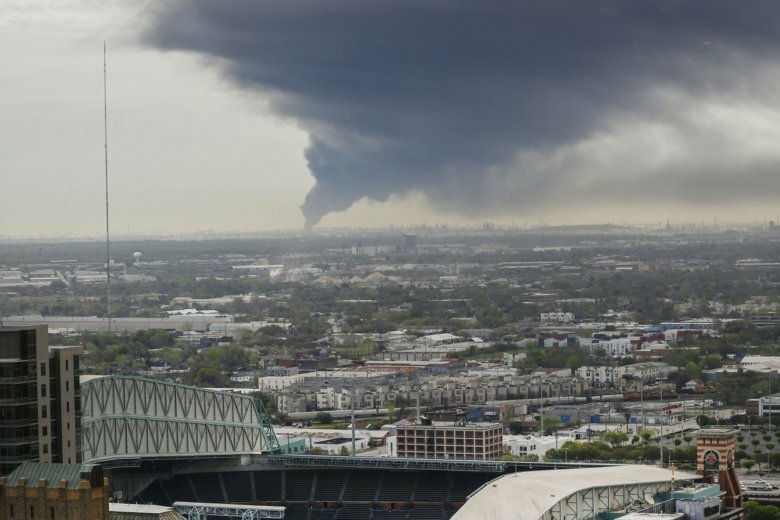 Harris County’s top administrator, Judge Lina Hidalgo, said at a news conference Tuesday that the plume is moving at least 4,000 feet (1,219 meters) into the air and staying high enough so that the air quality is not cause for alarm. Harris County Health Authority Dr. Umair Shah says “there continues to be low risk to our community,” but explains that vulnerable groups such as the elderly should be cautious. Officials say it’s unclear how long it will take to extinguish a fire at a Houston-area petrochemicals storage facility where a large blaze is burning several storage tanks filled with gasoline components. Harris County Fire Marshal Laurie Christensen said at a news conference Tuesday that she doesn’t know how long it will take for the fire to burn itself out. Company officials said Tuesday that five tanks are still burning and three have burned out. Two tanks that didn’t have anything in them have collapsed.